As a potato industry, we often forget to tell about how good a potato is for your health. By telling the story and informing the consumers, we contribute to a consumers healthy diet. Potatoes are a superfood; naturally full of good nutrients. Eat healthy, feel happy! 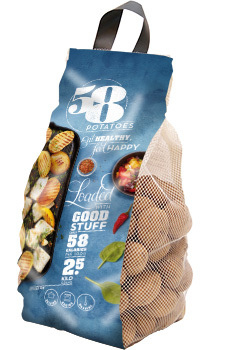 On top of that, 58 potatoes are also a light product. Because they have less than 58 calories, which is 30% less than average potatoes! People who care about their health but also enjoy eating and cooking. They know that tasty food & healthy living are a good an possible combination. We aim for the young professionals; they are conscious but busy. Money is not an issue when buying food, they concern more about how to stay healthy and enjoy their lives at the same time. A strong and rather masculine brand. Easy to recognize and different in the shelf. It raises questions, but they will be answered on the package. The fresh ingredients on the pack will be recognized by the consumer who regularly cooks at home and will evoke feelings of tasty dishes and good moments. The low calorie fact is a welcome additional benefit that you get for free! 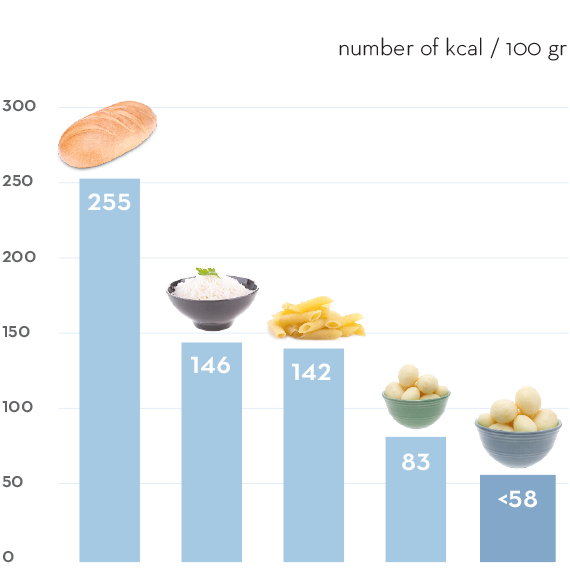 And here comes the best part of the 58 potatoes communication concept: not only are they full of good nutrients, they also have lower calories than average potatoes! 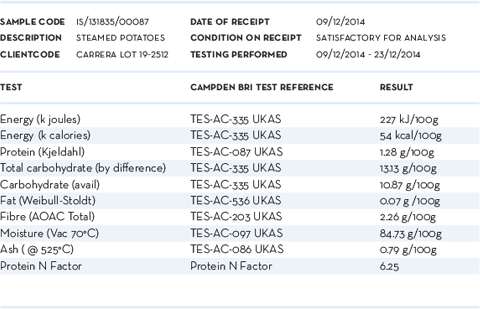 The 58 potatoes are tested by official authorities and have a proven 30% lower caloric value than average potatoes. Therefore they are allowed to be marketed as light potatoes. Then comes the potato! No longer the starchy filler, but a superfood pur sang. Because potatoes have lots of vitamin c and are a very good source of potassium, fibers and vitamin B6. Next to that, potatoes are very low in sodium, they have no cholesterol or fat. And the contain carious other important minerals, such as magnesium, phosphorous, iron and zinc. A vital nutrient for a healthy nervous system. "Potatoes are the largest, most affordable source of potassium in the produce department"
hzpc’s sunlite® brand is the scientific proof and trademark for the official 100% natural low calorie potatoes. to know more, visit www.hzpc.com.